Kyndi provides this Service Level Addendum (“SLA”), for eligible enterprise customers. For those enterprise customers who meet Kyndi’s requirements, this SLA forms part of the Master Services Agreement between Customer and Kyndi (the “Agreement”) to which it is attached, to reflect the parties’ agreement with regard to the availability of the Services. “Emergency Maintenance” means downtime of the Services outside of Scheduled Downtime hours due to the application of urgent patches or fixes, or other urgent maintenance, recommended by the Kyndi’s vendors to be applied as soon as possible. “Scheduled Downtime” means downtime of the Services during the hours of (i) midnight (Friday-Saturday) to 7:00 a.m. Saturday U.S. pacific time; or (ii) midnight (Saturday-Sunday) to 7:00 a.m. Sunday U.S. pacific time. “System Availability” means the percentage of total time during which the Services are available to Customer, excluding Scheduled Downtime and Emergency Maintenance. 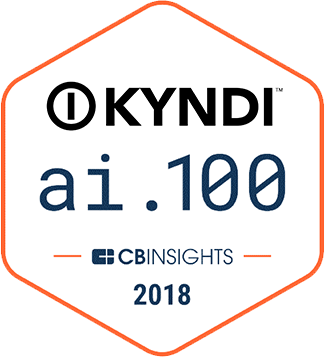 Kyndi will use commercially reasonable efforts to make the Services available with at least 99% System Availability over any calendar month. Any Scheduled Downtime expected to limit Customer’s access to the Services for more than two (2) hours will be conducted during the hours of midnight (Saturday-Sunday) to 7:00 a.m. Sunday U.S. Pacific Time. Customer will be notified at least one (1) week in advance of any Scheduled Downtime expected to limit Customer’s access to the service for more than thirty (30) minutes. Should Kyndi fail to achieve 99% System Availability in each of two consecutive calendar months, Customer shall have the right to terminate this Agreement for cause, in which case the Kyndi will refund to Customer any prepaid fees for the remainder of its subscription term after the date of termination. The foregoing shall be Customer’s sole and exclusive remedy for any breach of this Service Level Addendum. Claims under this Service Level Addendum must be made in good faith and by submitting a support case within ten (10) business days after the end of the relevant period.